Based out of Berkeley Heights, New Jersey, discusguy.com is an online retailer with a very comprehensive website that not only sells discus but also plants, fish food, and supplies. Furthermore, the site has a diverse catalog of information about discus, from short articles describing their care to an FAQ about the ordering process. Fast forward several months and the business owner, Robert Pereda, reached out me. He told me he wanted to do an interview. So I contacted Robert, got everything set up, and I think you’ll agree that what follows is quite interesting and informative. The Cichlid Stage: To get started, how about telling the readers a little about your business? Discusguy.com is the result of a long-time hobby gone wild! My parents bought me my first fish tank when I was in the 2nd grade. Ever since that time I have been amazed with the fish keeping hobby. I started out with basic fish like guppies and tetras and eventually started experimenting with discus fish. After several years of trial and error with discus, I finally figured it out. Then I took on the next challenge of trying to breed them! Eventually I got it right!! Keeping discus fish is not as difficult as everyone makes it out to be. Throughout the years I have attended many aquatic conventions where I’ve met several discus breeders. As a result, I decided to start my website discusguy.com. I am currently one of the largest distributors of discus fish in the USA. The majority of my discus come from well known breeders in the USA as well as breeders throughout the world. I also breed some of the discus myself. We also work with local fisherman in Peru and Brazil where we have access to wild caught discus that we import. Discusguy.com is still a hobby for me and not a full-time business. I run the business with my wife and 2 kids ages 6 and 2. Yes, my 6-year-old and 2-year-old children do help with a small portion of the business. They are the ones who apply the address labels on packages. Thus, in the event you receive a package from us and the labels are a little crooked, now you know why. 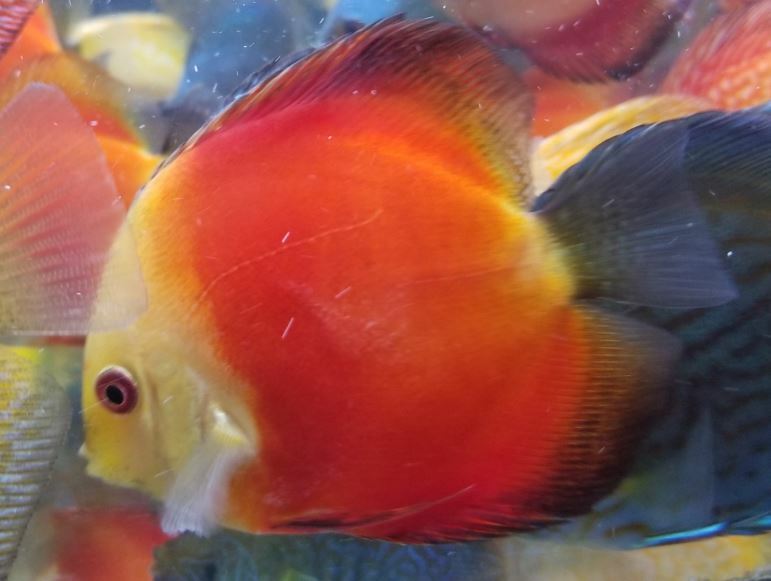 What separates Discus Guy from other online discus sellers? Discusguy.com aims to provide hobbyists with quality discus fish at affordable prices. We are not looking for a one-time customer. We strive to gain life-long customers who keep coming back to us for more discus. The main thing that separates us from the rest of the competition is the fact that we offer LIVE- REAL TIME advice 24 x 7, 365 days a year (free of charge) to people all around the world through our website. I get many questions daily from discus keepers all around the world looking for advice and information. There is no other discus website out there that offers that real-time service. All of our LIVE support is handled by me personally, so I am able to share my many years of knowledge with other discus keepers. Discuguy.com is not a business for me. It’s a long-time passion of mine, unlike most of my competitors who are in the business only for the financial gains. Also, one of the main objectives of discusguy.com is to clear all the confusion and conflicting information about discus that you will find on the Internet. Discusguy.com is the authority on accurate discus fish information. 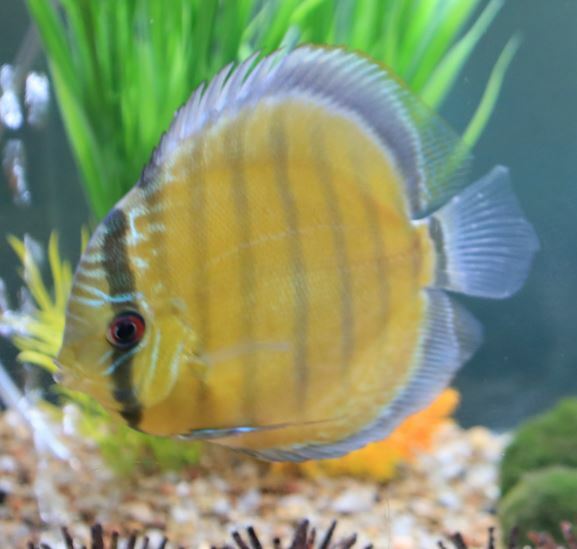 For readers unfamiliar with discus, describe their typical behavior and perhaps discuss how they’re different (in general) from cichlids in other general. Blue Diamond discus. Photo courtesy or Robert Pereda. Discus are schooling fish unlike other cichlids. They like to be in large numbers of six or more as it makes them feel safe. They are very friendly among themselves, however they are very territorial, especially when they are getting ready to spawn. Discus also establish a pecking order to let others know who the “boss is”. That is why it’s recommended that you try to keep discus of similar size to prevent bullying. Discus are slow moving fish so must be kept with other slow moving fish so they do not compete for food. Describe the ideal or minimum required set-up for a someone just getting started keeping discus (tank size, tank mates, filtration, substrate, water parameters). A fully-grown discus (6 inches in size) requires 8-10 gallons of water. Tank mates must be slower moving fish that will not compete with the discus for food. Good tank mates are tetras (neons, cardinal, black fin, blood eye) and Corydoras cats. Filtration is critical for discus fish. You have many options when it comes to filtration. The easiest and most cost-effective form of filtration for discus is sponge filters. They are cheap and very easy to maintain. The next would be hang on back filters followed by the more expensive canister filters. The trick with filtration for discus fish is that you need two filters. That way you alternate the cleaning schedule for each filter so one filter always has the beneficial bacteria to break down the wastes. Filters do not need to be the same. You can have one sponge filter and one canister for example. Substrate is another big topic when it comes to discus fish. Discus fish require very clean water. Therefore, my preference is a bare bottom tank. Get yourself a few warm water live plants in pots and put them at the bottom of the tank. This way its very easy to clean any debris that falls to the bottom. Gravel is very nice visually but traps all the waste which will mess up your water parameters. My advice is to go with a bare bottom tank and paint the bottom outside of the tank any color you prefer to make it more visually appealing. If you must have substrate I would then go with sand. Also- make sure to keep your substrate a light/bright color. Discus adapt to their environment as a form of camouflage protection. So if your gravel and background are black, the discus will become very dark in color and will show a lot of black spots known as “peppering.” Keep the colors bright so the discus colors remain bright. Water Parameters are the most talked about part of discus keeping. People take the fun out of the hobby by obsessing over water parameters. Discus will adjust to any water parameters as long as they remain constant. PH and all of that other stuff DOES NOT MATTER with discus!!! Just keep your water temperature between 83-86F degrees and that’s it! Make sure you have a good water change schedule where you do at least 2-3 water changes weekly- 25-30% each time. You have been breeding these beautiful fish for more than two decades. Talk a little about what is required to successfully breed them. Breeding discus is definitely a challenge. The number one thing needed to be successful in breeding is PATIENCE!! Then of course you need a proven male and a proven female. Keep in mind that just because you have a proven male and female doesn’t guarantee that they will breed! Discus fish usually pair off on their own, however you can be successful if you introduce a PROVEN male and PROVEN female together. When I say PROVEN I mean that they have successfully spawned in the past with other fish. Option 1 (cheaper option): get yourself a group of six or more discus fish with hopes that you will end up with a breeding pair. Option 2 (expensive option): buy yourself a proven breeding pair. This will cost you anywhere from $400-$600 depending on how rare of a strain they are. Once you have the pair, you want to keep them in a tank by themselves, preferably a 20 gallon tank. Cover or paint three sides of the outside of the tank with either white Styrofoam or white paint. That way you can only see the fish from one short end of the tank. This makes them feel safe and provides better results. If the discus fish get scared, they will not spawn or they will eat the eggs immediately after. Put in a ceramic breeding cone, an upside-down terra cotta flower pot, or a piece of slate so they can lay the eggs. Keep the water very clean with regular water changes, daily recommended. Do not over feed them. Only feed as much as they will eat in 8-10 minutes. If the pair is very young, they may eat the eggs the first few times they are laid. You can add a mesh screen or cage around the eggs to prevent them from eating them. Once the eggs hatch and become free swimming, they should attach to the sides of the parents as a source of food. You may want to add Methylene blue to your water as soon as the eggs are laid to prevent the eggs from getting fungus. For me, one of the beautiful aspects of discus is watching free swimming fry cling to their parents. I also understand this doesn’t always happen. Why doesn’t it and what are some things successful discus breeders do to increase the probability that the fry will cling? When the discus eggs hatch, the fry cannot see. All they can see is color. They will cling onto any dark surface. That is why you must cover three sides of your tank with white paint or Styrofoam so that the parents are the darkest thing in the tank. Also, you can lower the water level so it is only about 1 inch above the parents. That way the fry do not start wandering off in the tank where they will eventually starve and die. As I noted in my original post where I pointed to your business, I mentioned that discus carry the stigma of being difficult to keep. Though they’re not regarded as a beginner’s fish, like other cichlids in the hobby, there is lots of false information about keeping them. What are your top three do’s and don’ts to be successful keeping discus? Green Wild discus. 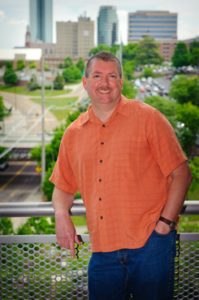 Photo courtesy of Robert Pereda. Keep water as clean as possible. Do as many water changes as possible. It is best to keep discus with only discus. DO NOT use chemicals to adjust water parameters. They will eventually spike and kill all of your fish! DO NOT worry and obsess over water parameters. We are discus keepers not chemists! Just keep your maintenance routine constant. DO NOT over feed the discus. Try to clean up any uneaten food within 1 hour after feeding. (Bonus) DO NOT overcrowd the tank. Stick to 8-10 gallons per fish. Otherwise your discus will not grow properly and will looked deformed! Since you began in the cichlid business, what are some changes that you’ve seen in the hobby that concern you and why? One thing that really concerns me is that, with the Internet, there are so many people out there that are offering conflicting information and advice about discus fish when they have very little experience with them. You will hear that some people say that you must do 100% water changes daily for discus. That is NUTS!! Unfortunately, this type of misleading information turns people away from discus because they give the impression of being high maintenance, which is NOT TRUE!! If anyone tells you discus are high maintenance, they do not have much experience with them! Marlboro Red discus. Photo courtesy of Robert Pereda. Another concerning thing in the hobby is the fact that many newbies say that only expensive discus are good discus. Again – not true! My final concern is all the fake reviews online about online discus sellers. Believe it or not, there are companies out there that pay people to write fake, negative reviews about other companies so the “review website” can charge to have the negative reviews removed!!! It’s a shame but it’s a big problem today, not only with discus but with all online businesses. Do not trust any reviews from sites just dedicated to reviews- as they are fake!! If you want real honest reviews- check eBay seller feedback. That is your best source of real reviews by far! 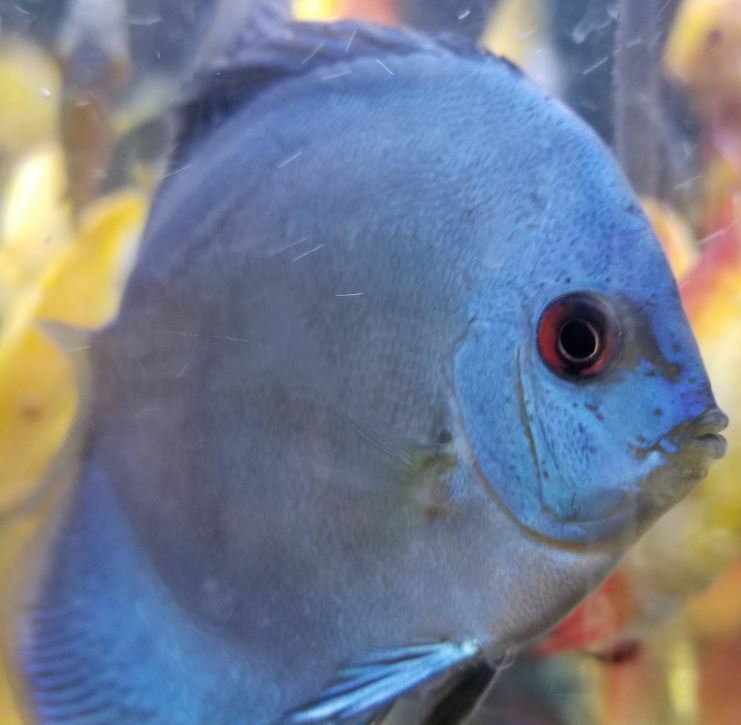 Is there anything about discus that we didn’t cover that you would like to comment on or perhaps anything about the fish keeping hobby in general? If you are hesitant about getting involved with discus because they are too hard to keep, take the chance. They are easier than you think!! I would like to offer any person that visits your blog FREE Discus Food ($15 value) with any order of Discus Fish on my site. All they have to do is, during the checkout process, put in the Notes section: “Referred by thecichlidstage.com”.